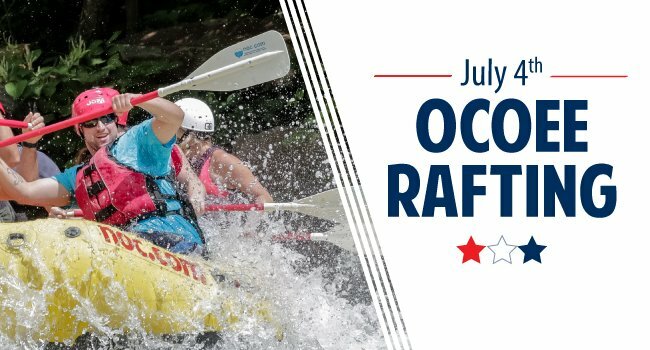 Join Nantahala Outdoor Center this 4th of July as we celebrate veterans and active military members with FREE Middle Ocoee Rafting! It's as easy as calling our reservations team to set up your trip. Give our team a call at 423-207-5615 to make your reservation! Proof of service must be provided upon trip check in or full price will be applied - valid only for bookings on the Middle Ocoee River on July 4th, 2018. Subject to availability, conditions apply. Not valid with any other discounts or promotions.